a b sea is an Atlantic Beach, NY mother and daughter clothing company that blends the luxury of silk with the practicality and comfort of organic cotton. 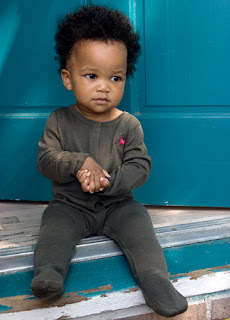 Their knitwear is made up of a proprietary 70% silk and 30% organic cotton, imbuing their gorgeous a b sea baby collection with the best qualities of each fiber– silk is naturally wrinkle-resistant, hypoallergenic, and weather-proof while organic cotton is low-maintenance, comfortable and imminently washable. Unlike all-cotton clothing, a b sea wear retains warmth in winter and allows breathability in summertime, making it perfect for all-year-round. 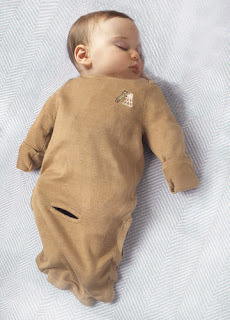 The ab sea sac has to be the snuggliest infant gown I have ever seen. It features foldover mitten cuffs to prevent scratches from flailing baby arms and a cut-away for fastening a seatbelt. Smart and elegant, I think it would be an ideal present for winter babies. Hopefully, a b sea will expand their sizes in the future. I'd love to see a toddler/big kid range in their signature fabric and colors.